I love a great stamp that looks like you've worked really hard but is super simple. 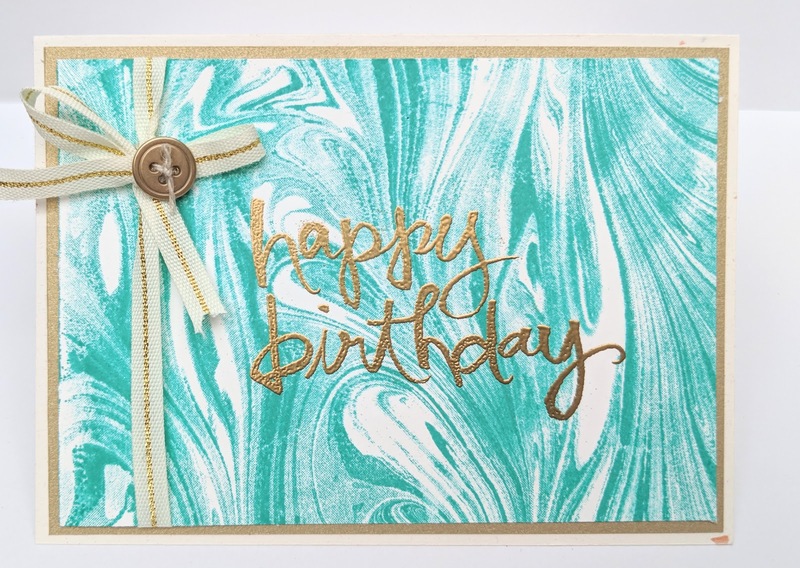 Last week I showed you birthday cards using a background paper and how simple it is to make a birthday card which looks great. This week it's all about the background stamp. Background stamps are fantastic because they can be customized to any colour for any occasion. They are super simple to use and really create something eye catching. 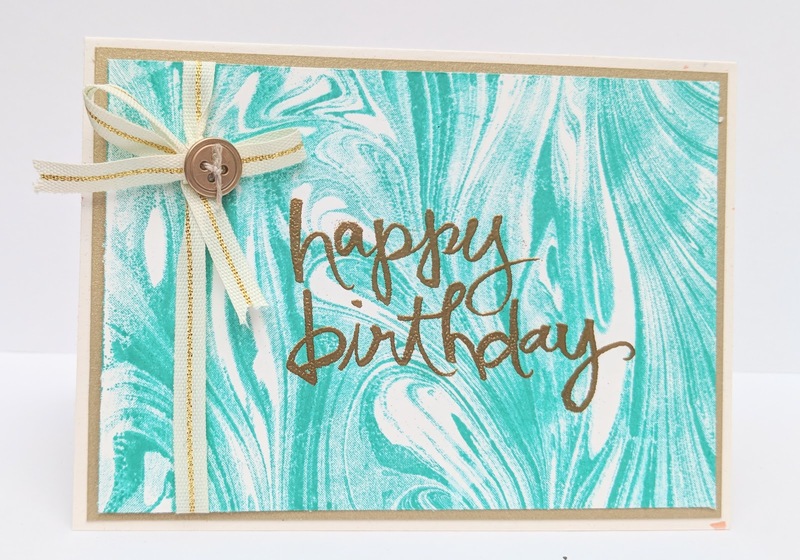 For this card I used the Marbled clear mount background stamp. It has kind of a dreamy tie dye wash kind of effect. Technically you could actually make your own marbled paper using water and inks and soap but who has the time to do that and dry the paper. And why would you when you can do something so easy. I think this would look dreamy if you inked it up using a few different shades of ink. To finish it off I added a few layers of card on my Whisper White base. A gold button and some ribbon. A heat embossed sentiment added a little more dimension. You could also use a die cut version which would have a similar effect. All in all this card probably took about 5 mins to make.